to the United Nations (UN) regarding recent actions in Russia, Nigeria and Iceland against Christians. True Christian believers, Human Rights activists, and 'well-meaning human beings' worldwide, are invited to sign this petition which shall be presented to the governments concerned. Thank you for your time. 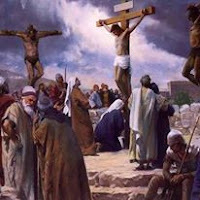 May our Lord Jesus Christ continue to guard, guide and bless you in your work for Him. 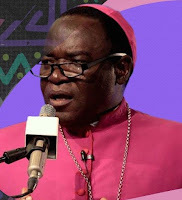 The Bishop of the Roman Catholic Diocese of Sokoto, Matthew Kukah, says some tertiary institutions in Northern Nigeria have over the years refused to allocate spaces within their premises for their Christian studentss to worship. A group of Christian leaders under the umbrella of National Christian Elders Forum (NCEF), fronted by a former Minister of Defence, Lt. Gen. Theophilus Danjuma (rtd. ), and Solomon Asemota (SAN), has warned that Christianity may cease go to extinction in Nigeria in 2043 if the Christian family in Nigeria is not restructured to tackle the silent war being waged against the faith in this present administration. This warning however was given in a book titled “Impact of lack of unity in CAN as threat to Christian faith”, presented by its secretary, Bosun Emmanuel during the annual conference of Catholic Men’s Guild, held at the Catholic Church of Assumption, Ikoyi in Lagos yesterday June 22nd. “Due to the inability of CAN to forge Christians into one indivisible army of the Lord, the Church has been weakened and unable to stand before its enemies. Realistically speaking, Christianity is on the brink of extinction in Nigeria. The ascendancy of Sharia ideology in Nigeria rings the death toll for the Nigerian Church. It is therefore imperative that CAN must be restructured, as a matter of urgency, if Christianity is to survive. CAN belongs to every Christian in Nigeria and there is nothing wrong with the association. It is the management that should be revisited and restructured.”Emmanuel said. Emmanuel went on to say that disunity has crept into Christendom in Nigeria because of the deviation from the norms for which CAN was founded in 1976. Their members of the NCEF include Prof. Joseph Otubu, Gen. Joshua Dogonyaro (retd. ), Archbishop Magnus Atilade, Dr. Kate Okpareke, Dr. Ayo Abifarin, Gen. Zamani Lekwot (retd. ), Elder Moses Ihonde, Elder Nat Okoro and Elder Matthew Owojaiye. MOSCOW — Russia’s Supreme Court on Thursday declared Jehovah’s Witnesses, a Christian denomination that rejects violence, an extremist organization, banning the group from operating on Russian territory and putting its more than 170,000 Russian worshipers in the same category as Islamic State militants. => Children banned from attending churches in China! In a bid to tighten their grip on religious activities in the country, authorities in China have banned children from attending churches. The new directive also prohibits them from attending religious sermons and other related activities across the country. Control on the country’s churches began several years ago when places of worship were ordered to remove crosses from their buildings in Zhejiang Province. Speaking further, Nee said that the move reflects the tightening control of religion in particular Islam and Christianity under the present administration in the Asian country. Her told MailOnline that: “In an important speech on religion last year, the President, Xi Jinping, said that young people must study science, believe in science and develop a ‘correct’ worldview and set of values.